A place where peace within me dwells. The little seaside town of Wells. One thing I’ll never fathom out on a boat. 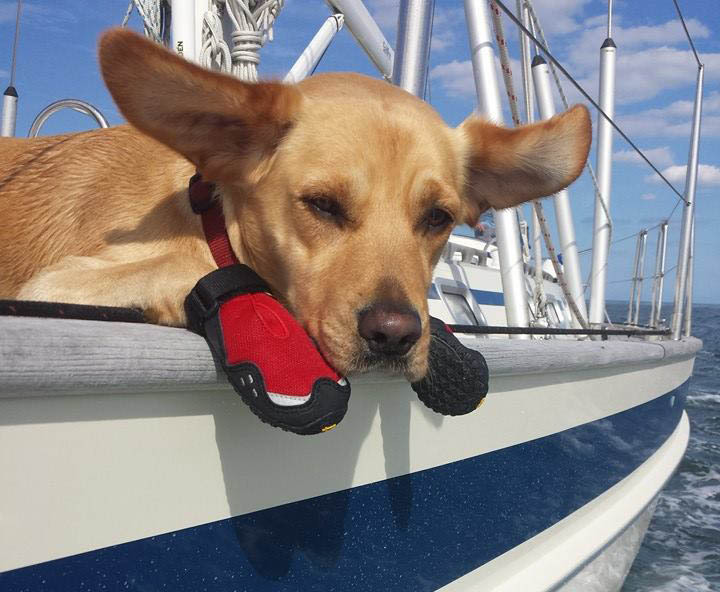 Why the long wait for ideal sailing conditions with the sun burning my ears? 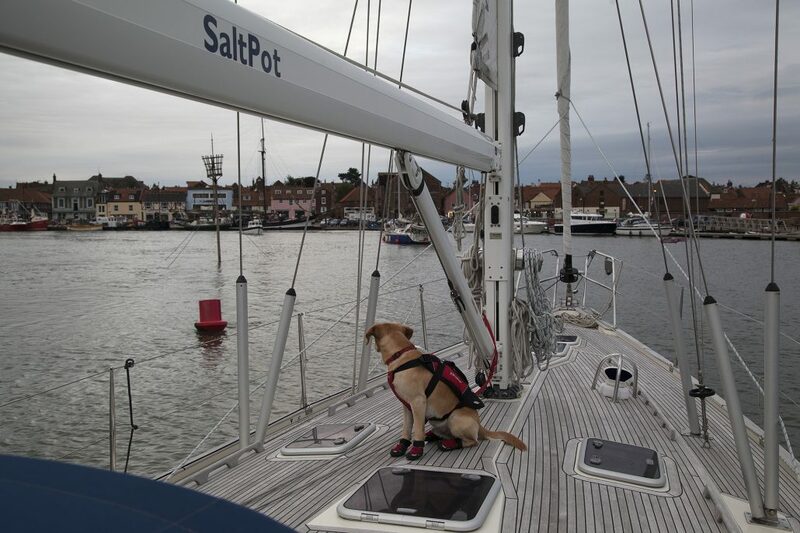 We are anchored next to the beach at Wells-Next-The Sea. I’m shivering with excitement to take shore leave! After an endless wait in an alarmingly low Spring tide, the Captain of this salty old seaport guides us to the pontoon of this picturesque town, to the sound of wedding revellers. I’m happy as a dog with two tails. This is our secret bolt-hole for the next two delightful days. Life’s a beach and it’s time to make waves! But why do my owners make so little time for play? 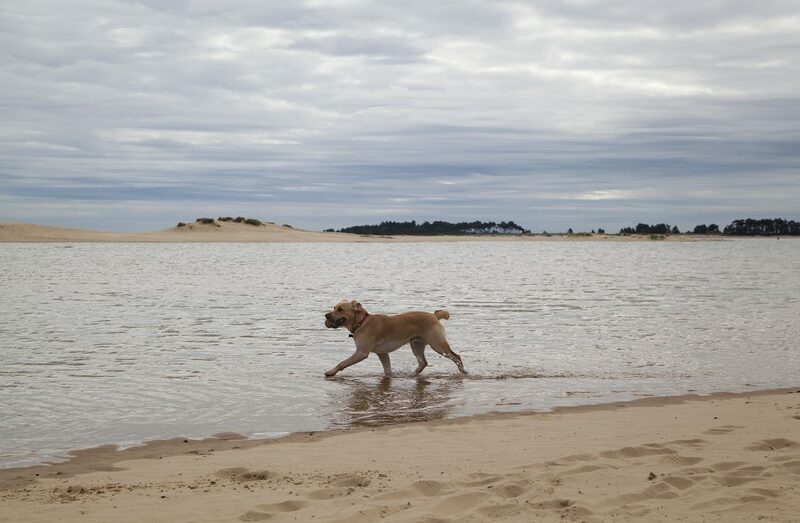 Wells is a paradise for dogs and their owners! It’s impossible not to be relaxed here! I charge like a bullet across the wide open dog-friendly shore, watching the sun dance on the shimmering sea. 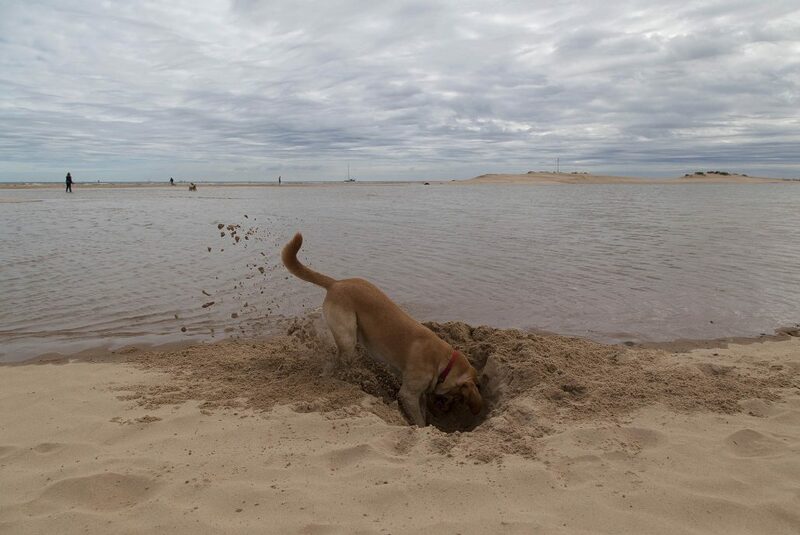 My bucket list for today is digging, dipping, diving and having fun! We are all happy here. 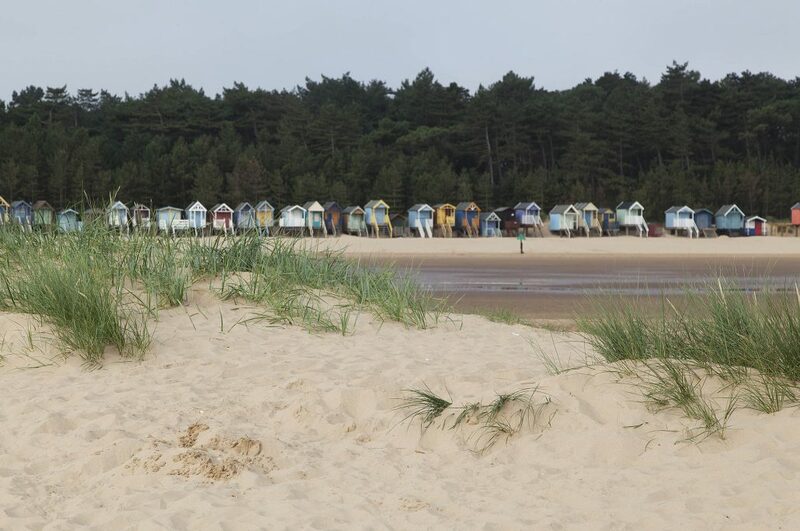 Karen’s taking pictures of the Instagram friendly beach huts nestling amongst pine trees, lining the seafront. I’m wearing my jaunty scarf. 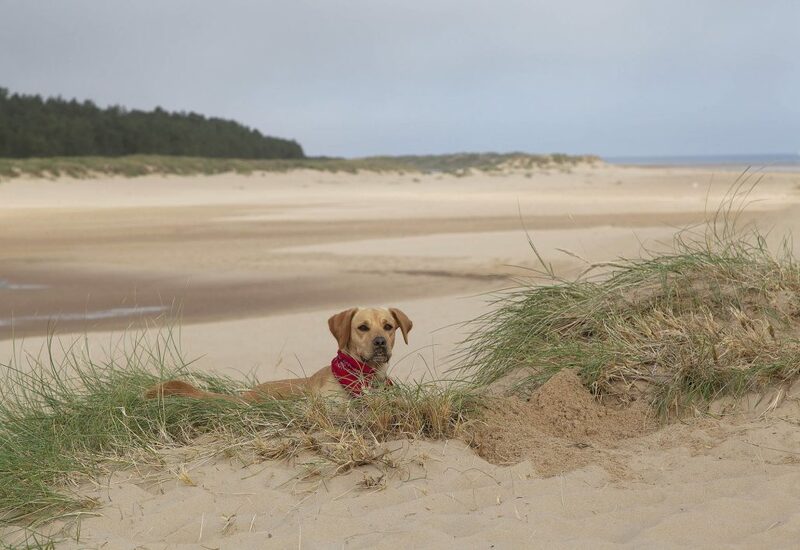 Surveying my kingdom from a sand dune, I feel like I’m languishing on the Cote D’Azur! As dusk darkens the blushing blue sky, we take a bright, breezy beach stroll. Then we batten down the hatches. 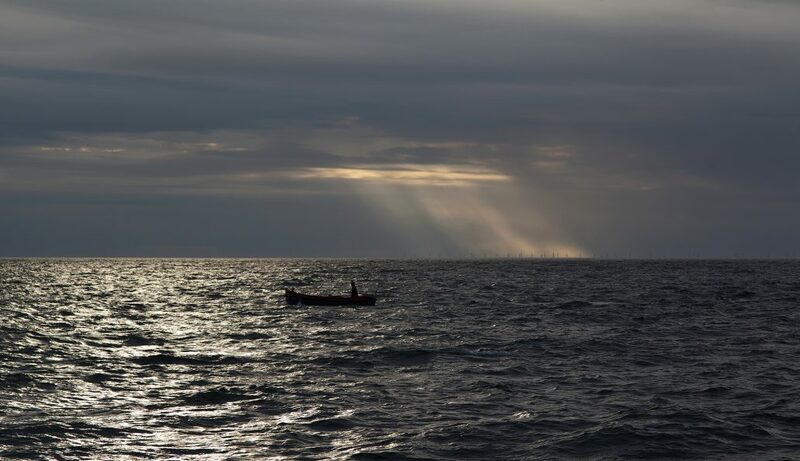 Casting off the next day in hot sunshine I’ve a bucketful of cool memories about welcoming Wells-Next-The-Sea. They will be with me for a very long time! When are we going back? 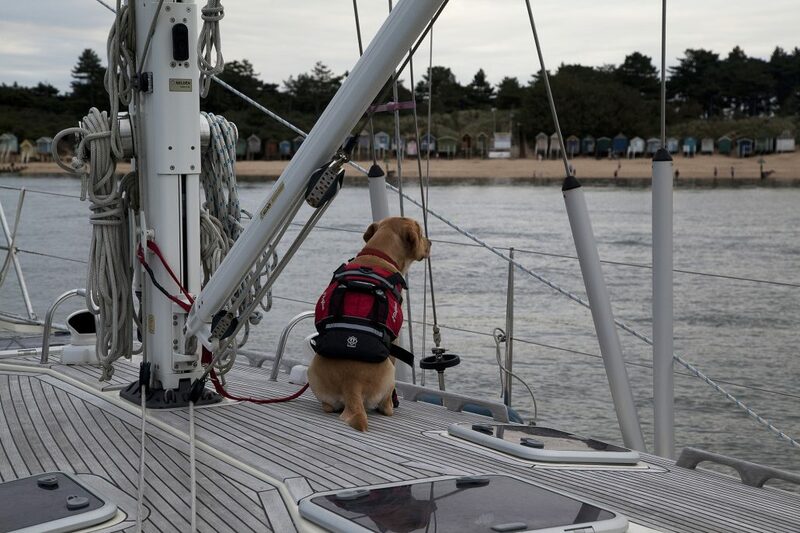 Wells is a small piece of Paradise for dogs and their owners, one of the most attractive towns on the North Norfolk Coast. It’s an unspoilt seaside destination, waiting to be discovered. Gwyneth Paltrow walked across this very beach during the closing scenes of Shakespeare in Love. Mentioned in Domesday Book its name derives from the many clear spring wells, at one time over 180 of them, in the town. A manufacturing town until recently, today it is as charming as it was then. 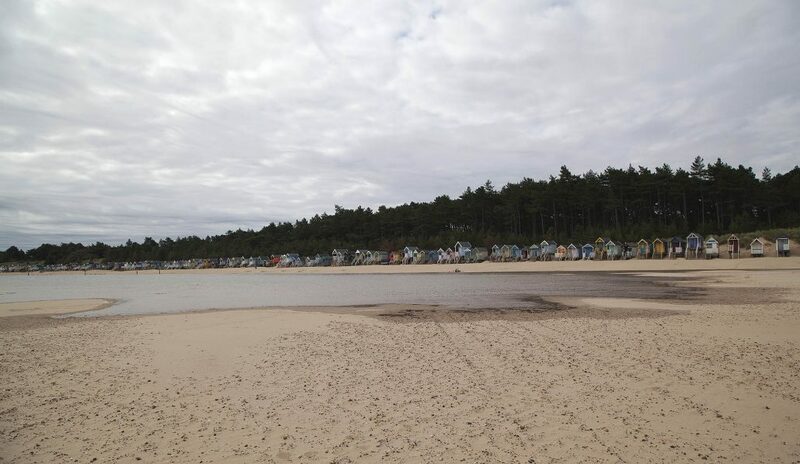 With its long sweeping beach, you can walk for miles on golden sand, bordered by Pine Woodland and colourful beach huts. Here you can spot oyster catchers and ringed plovers nesting on the beach. In the harbour, watch the small fishing boats and children looking for crabs, wander round the sweet little shops, eat freshly caught seafood or chill out in the many quiet pubs. From its stunning beach, shops, restaurants, miniature train and Mile Walk to its quiet leafy gardens where you can rejuvenate and relax, what’s not to love about Wells? Visit https://www.wells-guide.co.uk/ to learn more about why you should go!